These channel executives have an important message for partners. It’s become one of the can’t-miss traditions at Channel Partners Evolution. Want to know what a channel chief is thinking? We answered that in an education panel, part of a conference track sponsored by Cyxtera. 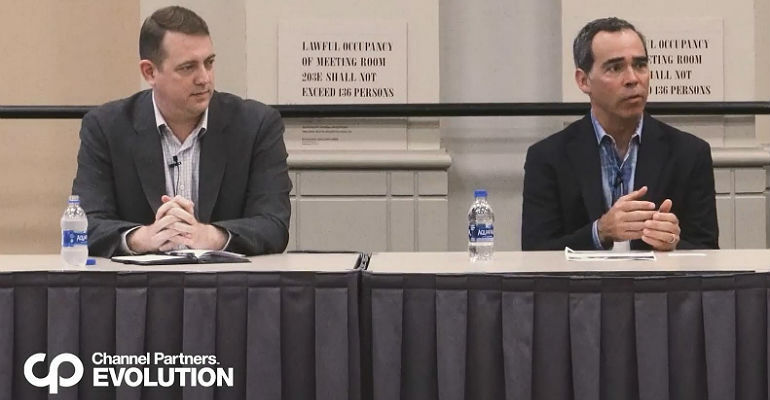 We wrangled Cyxtera’s Tina Gravel, Office Depot’s David Beagle and Intermedia‘s Jonathan McCormick for a number of insights, including what’s coming down the pike in their channel programs that will enable you to drive revenue and increase your revenue per user. The session was moderated by Rachel Thornton of Richardson Communications, a partner business. Ivanti Patch for SCCM, powered by Shavlik, maximizes your organization’s investment in SCCM to reduce security risks from unpatched non-Microsoft third-party applications. Keep your risk low and your software up-to-date without adding unnecessary infrastructure or cost.